Sometimes we think that. We really wish we didn’t. In those lonely moments where a big invoice is 30 days painfully overdue and every second passing feels like a year, every bill lands on top of one another at once and you’ve endured the third rejection of the day, you better believe that thought crosses our minds. This happens over and over. 365 days ago we boarded a plane back to Ireland, four years after swapping Dublin for London. Was it the right decision? Do we regret it? We learned so much during our spell as Londoners, and we’ve learned a whole lot more in the past 12 months having tried to re-emerge in Ireland. It hasn’t been easy. We wish we knew some important things beforehand. Bear in mind, we didn’t up sticks and return to Ireland on a whim; it was planned and orchestrated. Even coming to a joint agreement on moving home took many months. We spent the year beforehand on every quick trip home organising meetings with people in our industry, putting the feelers out with friends, confidantes, and just generally asking for advice. Was it worth it? Are there opportunities? How would we do it? Everyone boosted our confidence insisting it was a brilliant idea, delighting us with assurances there was so much happening and if only we were here already we could take ’em all. We agonised over the move and were bolstered by hope. Remember our Announcement post? 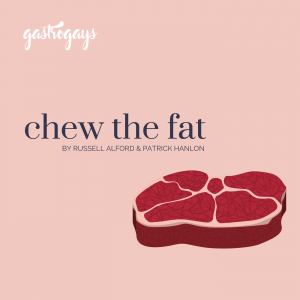 After everyone got over the shock of thinking we were splitting up and throwing in the towel on the blogging thing, everyone was super excited and enthusiastic for this new chapter in our lives – personally as a couple and professionally as GastroGays. Our plan, like when we first moved to London, was loose but we had goals. As young, doe-eyed opportunists, we chased job opportunities and new experiences in London. 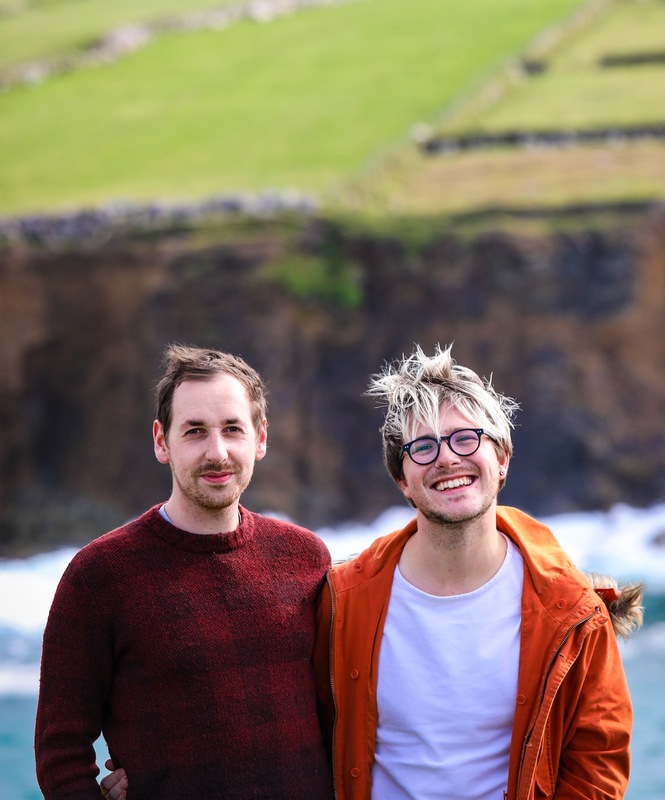 For a return move to Ireland, it was all about being bigger and chasing dreams – we wanted structure in self-employment, a better quality of life and a chance at turning a hobby into a bonafide career; because we were leaving behind our London jobs and going into business together as social media managers and digital content creatives. Today is a year on from when we left London and within one year we’ve had soaring highs and crushing lows, and we thought we’d share what we wish we knew with you. Sit comfortably, this was tough to write. We wish we knew how hard it would be to leave London. 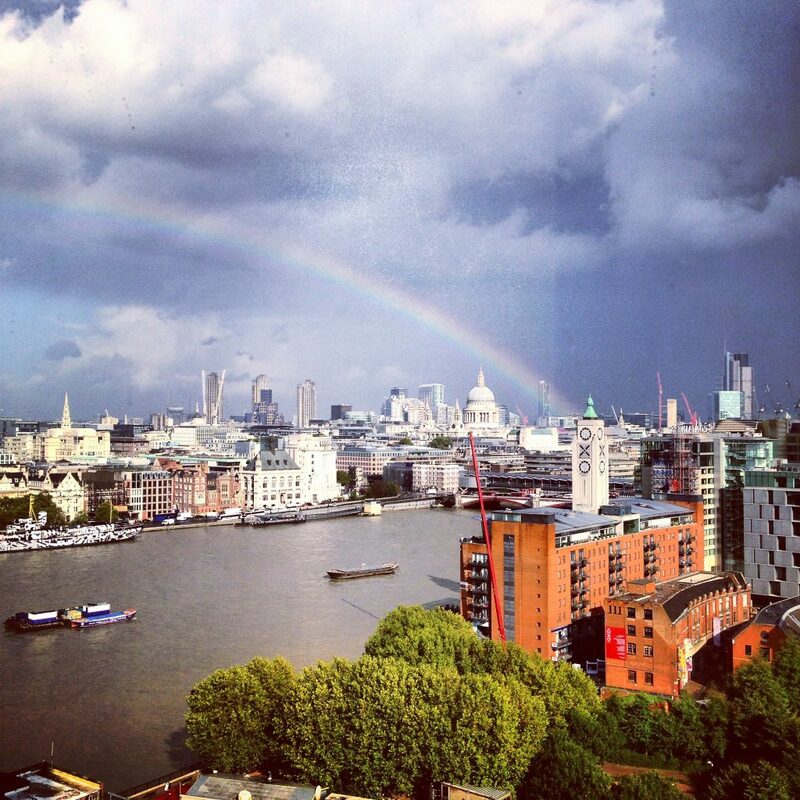 London is, and always will be, one of the greatest cities in the world. The daily grind did our head in, it’s a relentless pace, but you endure it for the street food markets, the events, the friends you gain, you do it for the amazing career opportunities at every turn. When you leave it though, everything becomes a comparison to the mammoth that is London. For us, it was a series of little things, accumulating into bigger things. Moving from one country to another is painful and exciting in equal measure, of course. While we left with heavy hearts, we also packed a case full of hope and excitement for whatever was in store for us two returning emigrants (sandwiched somewhere within the quarter of a truck we hired to transport all our accumulated stuff). We’ve returned to London a couple of times since and – believe us – enjoying it as a tourist again is one of the most fabulous things to do. We couldn’t hack living there anymore, so now having it back as a tourist is so sweet and so much better. 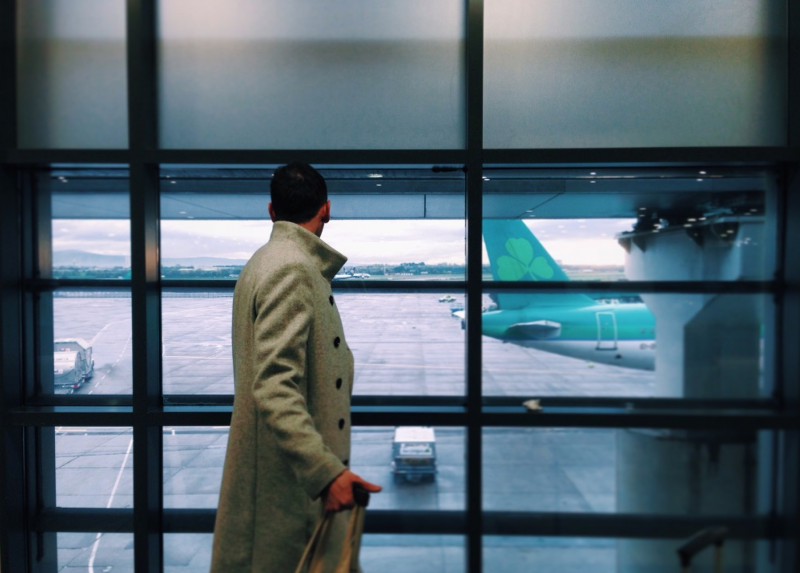 We wish Ireland as a whole had a better attitude to returning emigrants. Hear us out on this one. Ask any Irish person and they’ll tell you begrudgery is alive and well. It’s a wholly Irish thing. Negativity and naysaying is a part of who we all are at the worst of times. Before you return home, the attitude is “ah, sure there’s nowhere like home. Come back to Ireland, things are great” and we even had hints of “the boom is back” too – which was a bit dangerous. The moment you land back on home soil, that does a full 360. We felt it viscerally. The attitude of “sure there’s nothing here for young people these days” after a years-long recession hangover mixed with “think you’re so great emigrating, don’t you” and the faintest dash of “oh, have you seen who’s back”. Damned if you do, damned if you don’t. We’re victims of bad timing, it has to be said. We personally shuffled uncomfortably in our seats through three years each of university in an Ireland gripped at the throat and hanging above ground at the peak of the financial crash. Troika incoming, bailout, debt, student fees, redundancies. Being told we’d work for free, endure internship after internship and never have the opportunities afforded to those who came before us. So what choice had young Irish graduates at that time? Wade it out? Make do with the leftovers? Resign yourself to it and endure it hoping you’d succeed as one of the lucky, lucky few? Or go find opportunities elsewhere? Ireland is a nation of immigrants and emigration, all throughout history. It was conquered by Vikings, ravaged by the British for longer than we’d like to remember, deserted due to famine, a tech company magnet due to our corporation tax, a modern, multicultural melange of nationalities, languages and colours. Ireland of the welcomes, they call it. Cead míle fáilte. A hundred thousand of them. When we did return home, it was bloody tough to re-establish ourselves. We’d never went anywhere, mind. Even when we were in London, we were home every couple of months on trips. We kept a profile up in Ireland, doing bits on TV, writing in papers, appearing at events. 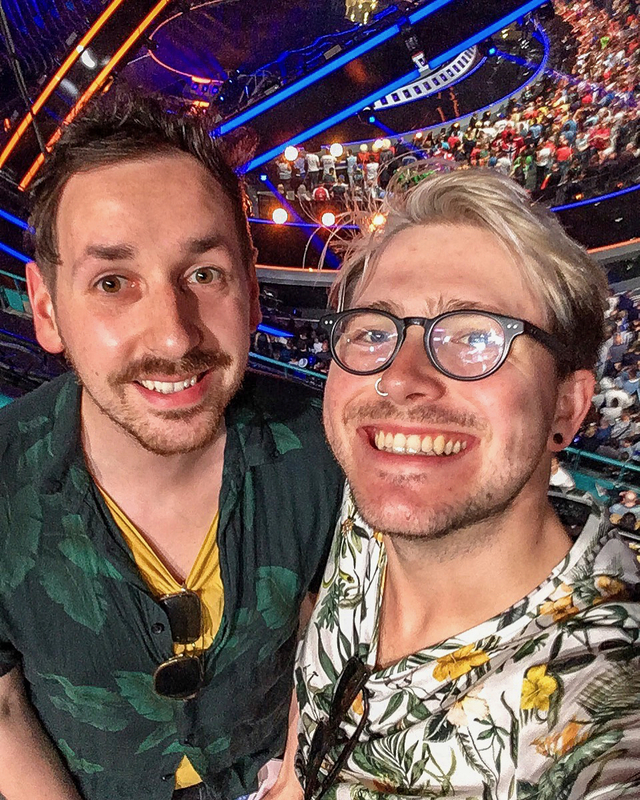 We had a 50/50 UK and Ireland split in the GastroGays audience, still do to this day (almost), so it’s not like we disappeared and suddenly re-appeared out of thin air like a magician’s assistant. We were “known”. Yet all the lavishing of “come back, it’s worth it, there’s so much happening, you’re perfect for this, opportunities everywhere” quickly turned to “our budget’s slashed; we’ve taken a different direction; that’s been put on hold” when we actually took the plunge. Gulp. 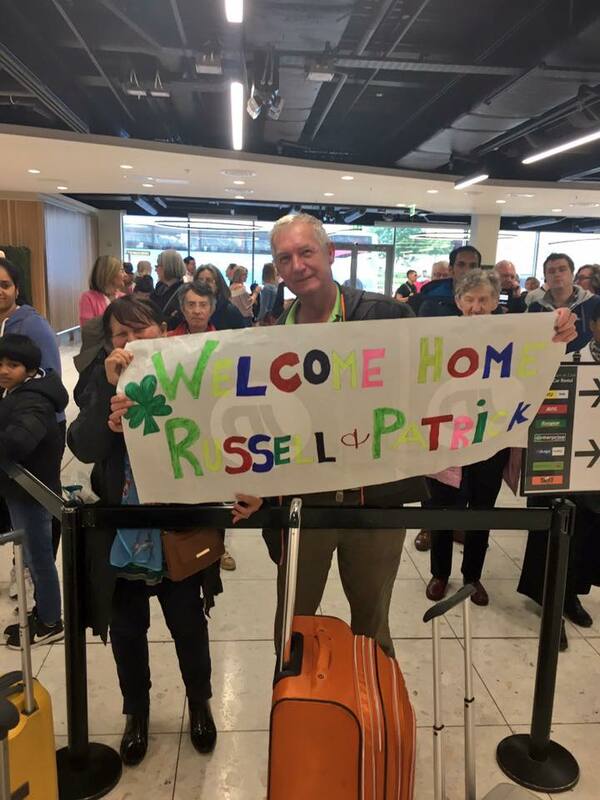 The Irish are spread across the globe, and they find one another. Most of our friends in London were Irish, most of our college classmates are abroad, so we know. We know so many want to return. Most plan on starting families back in Ireland. 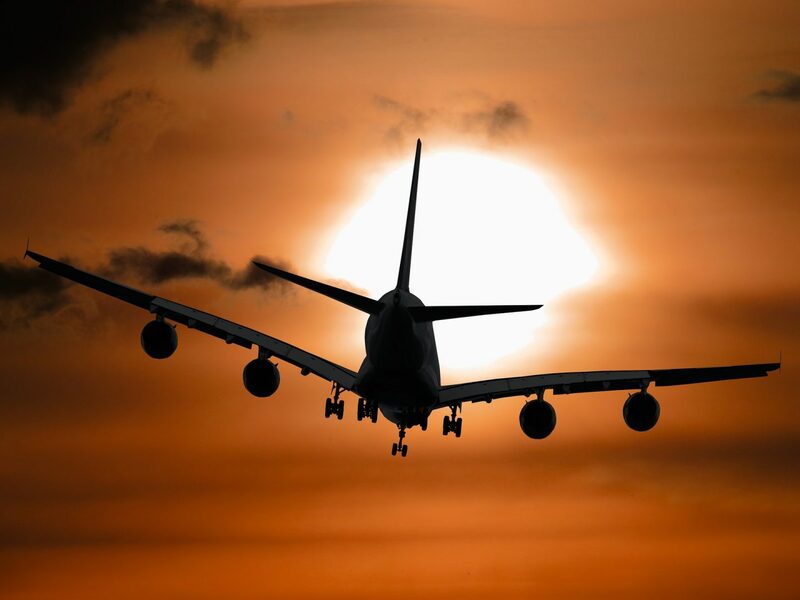 Emigrating for the long term isn’t for most people. Emigrants so often pang for their homeland. Wanting their kids to go to Gaelscoileanna. Dreaming of pints and sessions. Craving Tayto crisp sandwiches and hearing cúpla focal. Worried about missing family milestones or consciously aware of the short years they have left with elderly relatives. Even missing the bloody begrudgery sometimes. We wish we could say to every one of them that it’s easy to move back, but we’re not sure it is. We wish we could 100% sustain ourselves from our blog and brand, but it’s just not possible. We said we were turning ourselves into full-time bloggers, but it’s a white lie born out of necessity because in reality our income comes from so many different streams. Among the most-asked questions we get is “how do you make money from it all” – this is often asked mere minutes into meeting people for the first time, which is rude to be honest. We don’t pry into your finances, Brenda. We do social media management, consultancy, contribute freelance elsewhere. We do some sponsored stuff, we do live events, we develop words and content for companies. Lots of little earnings here and there like squirrels taking nuts from their hiding places. We wish that if you’re skilled and talented it wasn’t so difficult to earn off it – freelancers, are we right? We’ve gone into the red this year. Several times. And it’s scary admitting that, but we have. 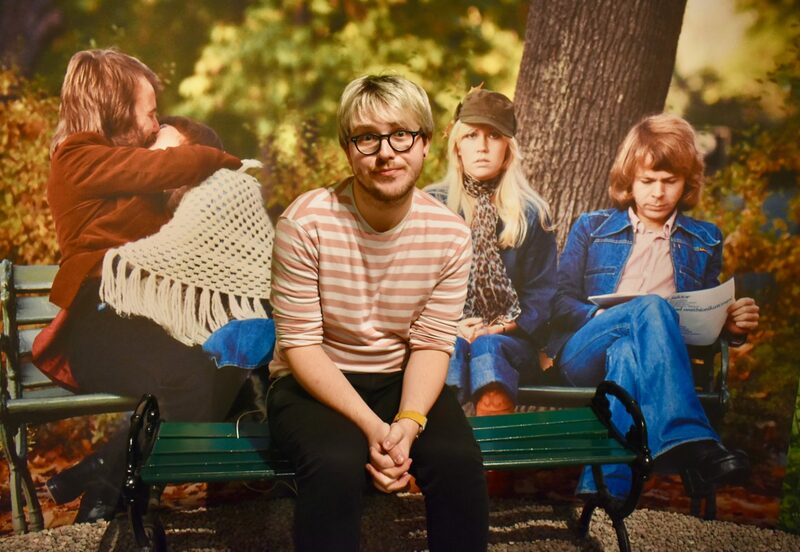 #6WeeksOfSweden was a passion project we’ve waited years to undertake and despite saving and budgeting, it as good as bankrupted us, it gave us absolute life at the same time, so naturally that’s made a dent but was so worth it. After a tough first few months back home, the escape into a Swedish life felt refreshing and inspiring. Scarily, we’ve been at ‘0’ in our account more times than we’d like to remember this past year. The living is inconsistent and the struggle is daily. Every day is a grind, a sell, a hustle, a pitch, a new avenue, a fresh idea. Many without acknowledgement. Every single day. We’re still not out of the woods. Not by a long shot. We thought coming back to Ireland would kick our brand and our business into high gear, and at points it’s completely stifled its growth. We wish we knew that was going to happen, it would have made preparing for those lows a whole lot easier. Goes without saying: we weren’t relying on the brand being kicked into high gear; in many ways we were under the illusion that it was a possibility. We were and are prepared to do the hard work, but we need the work to be there. We wish this bubble burst a year ago. We came back to Ireland in the midst of influencerama – a time when it appeared that everyone and their granny was a “Dublin-based influencer” and each one making a bloody bank off it (or so it appeared!) We don’t call ourselves influencers ’cause we’ve tried for nigh on 30 years to influence our parents to make us cups of tea and they still rarely do, so we wouldn’t profess to influencing anyone’s decisions (but yes we know, there are some who’ll lump us in with that). But we’ve been working at this five years, we have a voice, our words are well-read and our profile is ever-increasing. What we do has lots of eyes on it and the quality of it (interesting, unique, engaging, informative) and the quantity at which we’re producing it is seriously good, if we do say so ourselves. Content is king. So it should be possible to make some form of living off it, surely, in this day and age? We thought that too. The goalposts are forever being moved so every milestone you reach now isn’t enough. Our point is: visuals and metrics are valued on a higher scale than quality and attention-to-detail. Our “top line numbers” mean make or break for opportunities rather than actual vision, talent, skill or creativity. Literally, we’re all nothing, it’s a mathematic equation at the end of the day whether you get an opportunity or not. X Instagram followers + Y blog MUUS = ✔️ Well if all your Instagram followers are based in Botswana and entirely speak Turkish…okay? – but that’s a rant for another day. Skilled writers will be few and far between if this vacuous, vapid digital abyss continues. We’re journalists. We’re writers. We studied media. We have degrees in this stuff. We’ve held roles across the industry in TV, Radio, PR and digital content production – that’s the cloth we’re cut from and it’s what we specialise in and where we see our careers growing in. There’s just a lot of noise in this industry right now. We contribute to The Irish Times from time to time among other publications, we work with RTÉ and appear regularly on TV and radio cause we’re old hacks at the end of the day; that’s the career path we set for ourselves, not ’cause we got infamous on Instagram and fell into it all. The death of newspapers isn’t going to be caused because people aren’t reading them, it’s more likely because no one will be skilled enough to write for them anymore to be honest. Invite Invite Invite. Stand Around and Small Talk. We wish we weren’t proven right that attendance at events gets you everything. We wish it was different. Those who attend every event, launch, press preview in Ireland get the rewards. Truly. Those people holding a different cocktail at a different press launch every night of the week are then privy to many a future campaign, opportunity and perk. But we didn’t have to tell you that. We thought we were being ultra professional, booking in ‘us time’ in front of change-makers who could link us in to future opportunities last summer, until it transpired that their three best friends who are Instagrammers are given everything. Or their agency also “represents” a suite of model/influencers, so uses them for every campaign. Convenient. To be truly fair, there are some agencies, brands and launches that are wonderful and we’ve spent the year figuring out which ones matter. We hold those dear, we know they know who they are and we cherish that those select few truly support us, see our talent and champion us to put our skills to the best use for mutual benefit and gain. But there are some who ask us to jump, and take it personally when we don’t say “how high?”, and then you’re crossed off the list indefinitely. For us, standing around holding a drink at a launch is not the best use of our time. (also, go back and read the thing about money. Our car doesn’t run on exposure) We’re not going to write a blog post about a product launch… we never have! Telling a brand’s story individually in our own unique way, that works. Getting hands-on experience learning a new skill, or exploring a destination on a trip or even getting to personally know the people behind the business is brilliant for us. Shifting between two feet for two hours whilst stuffing canapés into our faces? We value our time way more. But if we’re honest, that’s not even it – events are very difficult for us personally. And those who know, know exactly why. This is something we might write about in future in a standalone post, because it has a lot of different elements and is rarely acknowledged or understood. So many of our blogger friends are weary and tired of the same-tested-formula events that litter the scene in the last few years, it’s baffling that PRs still answer to their clients and organise them. Besides us, everyone in attendance has an audience, and having X Y and Z at the same event will bore an audience to tears as they scroll through their Stories. It’s all so same-y and so saturated. We wish we had planned for all this travel! Every year before this last one has been boldly declared as “this is the year we’re gonna travel loads” and then the sudden realisation of your 21 days of annual leave kicks in and that’s swiftly by the wayside. So becoming freelance has given us so many opportunities to travel. Seriously, this last year has been incredible for travel and we’ve explored so much, from Kyiv to Frankfurt, cheesemaking in Jura to semlor making in Karlstad; Liverpool, Cotswolds, Zadar, Aberdeen, Glasgow, and all over Ireland, from Kerry to Derry. We’ve had the most fun travelling this year (and right now our focus is shifting back to food at the moment which is nice). 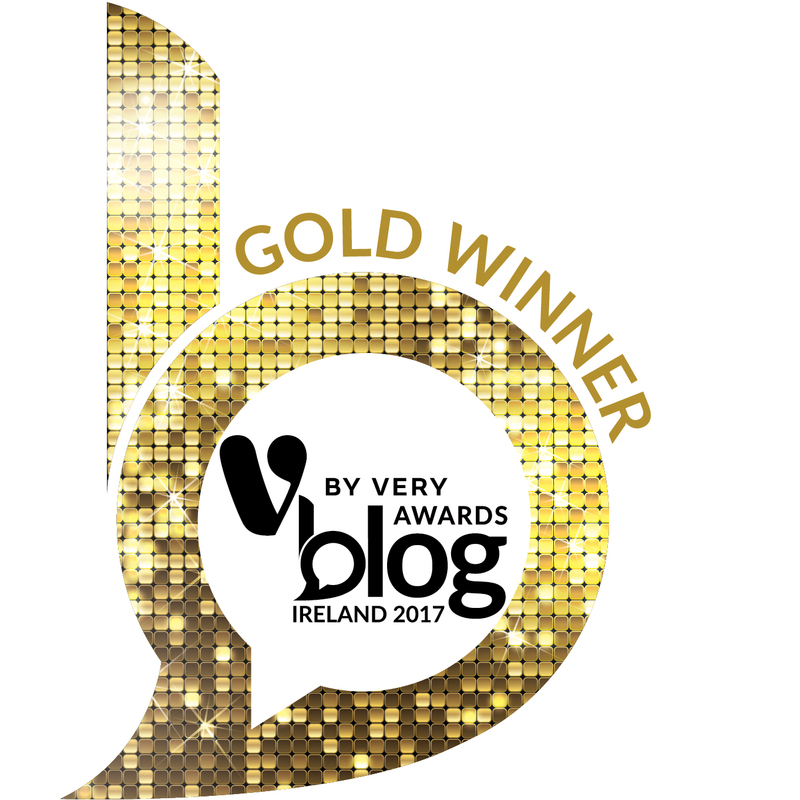 We won Best Travel Blog in Ireland, which both helped and hindered our fortunes since October, but a really nice pat on the back for what we do. Not to mention taking home the Best Blog in Ireland accolade too. 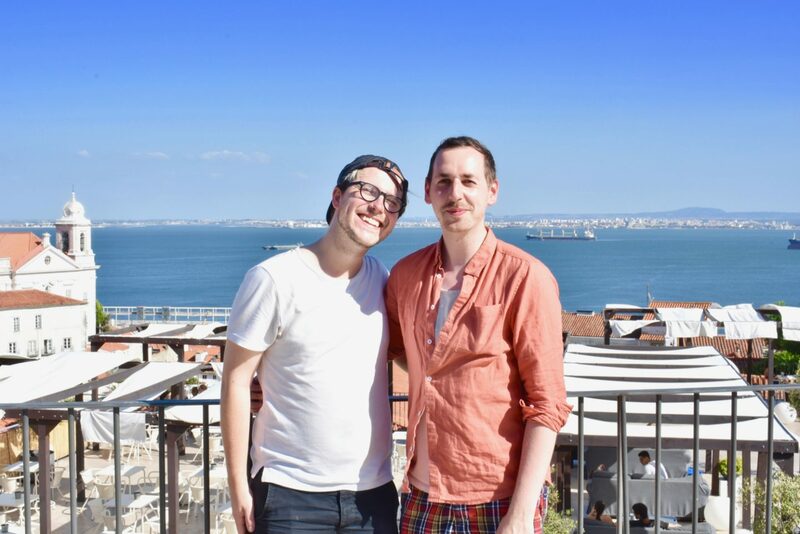 Food tourism and food-led travel became our niche quite organically and was never really in our plan but just emerged as this arm in what GastroGays does and we’re having an absolute ball sharing it all. We wish we understood the housing situation. We’re currently in the midst of one of the worst housing crises in memory in Ireland and we know and acknowledge how truly awful the situation across the country is for some families right now. Rents are now higher than London and we can tell you from experience, the standard of accommodation is utterly atrocious. Homelessness is at a record high. Even in the commuter belt outskirts (we’re based in Louth) it’s really shocking the price versus standards of living conditions. Do you know what? Living would have been cheaper in London, and that’s something we only realised recently. How can that be right? We may have to pay hundreds more a month to have adequate housing in our home country and the area we grew up in. It’s not too much to ask to return to your hometown in the hopes you can make a home for yourself, is it? And we’re still at square one a year on. We are forever thankful to be in circumstances that mean we have a roof over our heads, but as we approach our 30’s, it’s not ideal either. Phewf. Too real? You know we always tell it like it us. If you like what we do, interact with it. If you see an opportunity we’re perfect for, tag us in it or loop us in. We don’t sugar coat things, we’ve always been 100% about honesty and as transparent as they come, and though it would have been so easy to write this as a “what an amazing, life changing year this has been”, it wouldn’t be authentic. We’ve really seriously struggled, professionally, personally and mentally; and at times needed support and should have asked for it more. In the past twelve months we’ve had to think like businessmen and entrepreneurs, while also keeping our blogger hats on. We hope that we are still the same GG’s that you followed back in London, as we are today. Some might say there’s an air of entitlement in this post, and that’s fine, and understandable. But we’re fighting to survive, that’s the bottom line. We went into self-employment totally aware that it wouldn’t be a smooth ride, and properly prepared to work extremely hard to make it a success. 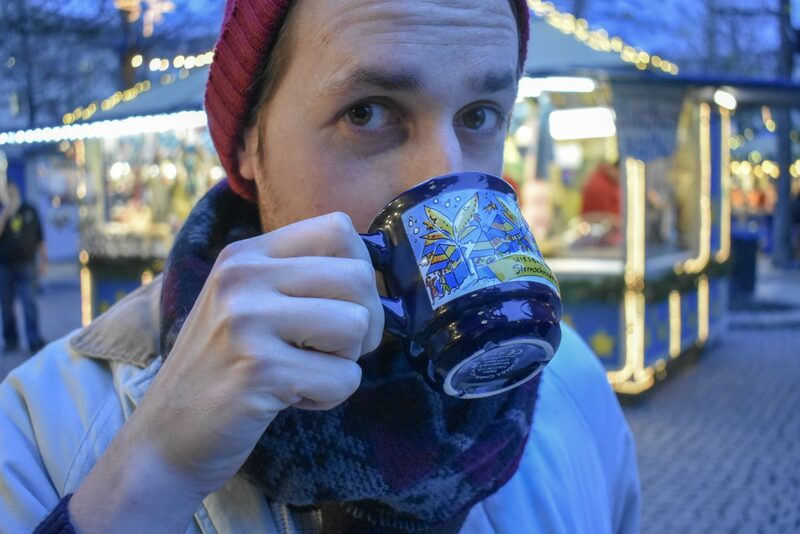 At the end of the day, we want to create great content around three areas (Food, Travel and Eurovision), use the skills we’ve learned as digital media content producers (both as GastroGays and with our own respective careers) over the past five years to add value to the conversation. Whether we’re earning coin left right and centre, or stretching the overdraft to it’s limit, we’ll continue do it either way. Has this year been harder than it should have been? We’re still wondering.